Shah Rukh Khan will also host the Indian version of TED Talks soon! How can we forget the day before our exam, how we try to recall all our important points so that we don’t forget them. This was no difference for our superstar Shah Rukh Khan as for him, the TED talk in Vancouver was like one such exam. 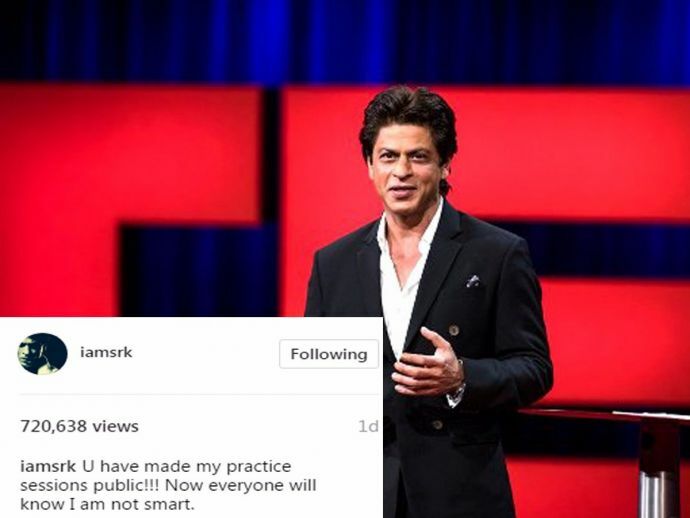 Recently Shah Rukh's manager, Pooja Gurnani, shared this hilarious video of the actor preparing for TED Talks. We can see SRK memorising his lines for the TED talk. Pooja Gurnani puts some snippets together of him revising his lines while lying on the couch, under a blanket, at breakfast table, in his office, in shorts, everywhere. Most adorable is the reply of superstar SRK. He reposted the video and wrote, "U have made my practice sessions public!!! Now everyone will know I am not smart". Nerveless, Shah Rukh Khan’s words were truly inspiring at Vancouver in April. His views on humanity when he said "like me, an ageing movie star," got rupturous response.